Niharika Gonella, however missed out on her medal opportunity, bowing down to the more accomplished and technically stronger boxer from England, Georgia O'Connor. 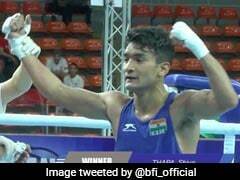 India assured themselves of five bronze medals in the AIBA Women's World Youth Boxing Championships on Wednesday, with local star Ankushita Boro, Shashi Chopra, Sakshi, Nitu and Jyoti cruising into the semifinals. Niharika Gonella, however missed out on her medal opportunity, bowing down to the more accomplished and technically stronger boxer from England, Georgia O'Connor. America's Heaven Garcia was the shock defeat of the day, who lost to Kazakhstan's Zhansaya Abdraimova in the flyweight category. Ankushita shed tears of joy as she was declared the winner. Her victory over Rebecca Nicolli was especially sweet as she had lost to her 0-5 in Sofia, Bulgaria just a couple of months ago. She seemed disappointed with a split-decision victory but was delighted that she not only advanced but also got her revenge. "I never expected the bout to be tough. I was confident that I would win," Ankushita said proudly. India's high-performance director Rafaele Bergamasco rejoiced at the end of Shashi and Joshi's bouts too, pumping his fist in the air, emotion writ all over his face. Both were declared unanimous winners, making their victories even more special. Flyweight Jyoti, who has a peculiar style, began India's march into the semifinals. Jyoti's ploy worked nicely, often finding the target and she followed it up with a double or triple punch combo before stepping back and out of danger's way. "The coach told me to keep moving around the ring and use the jab and 1-2 combo more often. 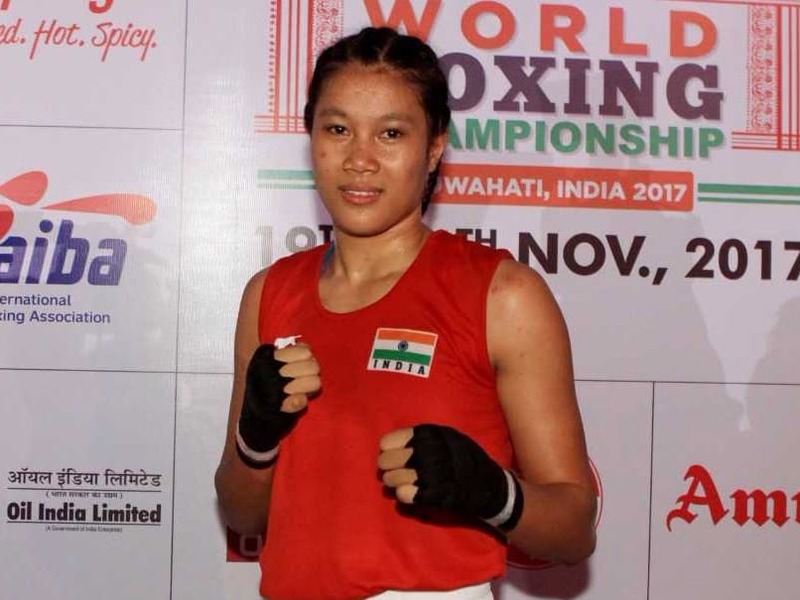 And when she began holding me in the second and third, he told me do infighting, release a burst of punches to her stomach and pull out, which is exactly what I did and it worked," Jyoti said after her victory. Shashi's opponent from Kazakhstan is an established boxer, technically sound and physically strong. It was just a bit of smarter boxing that won Shashi the day, though, thanks to her straight punching that often gave her the desired results. "I had beaten her in Istanbul, so I knew her style and strategy well. I ensured I kept my guard up in the second and third rounds to avoid giving away points and implemented the coach's strategy of attack and defence in the second round before stepping on the gas in the final round. 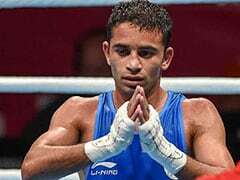 I knew I scored enough points to win the bout hands down," Shashi said. Sakshi showed her intent right from the word go, in her 54-kg bout against Xia Lu of China. She attacked her with a series of combinations that reeled the hapless Lu. The referee did a standing count on three occasions before he decided to call off the contest in the second round. 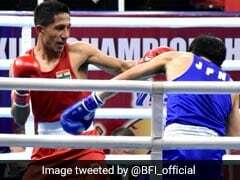 Nitu was equally dominant against Maxi Klotzer of Germany in the 45-48kg category. She dominated all three rounds to be declared unanimous victor. In one of the most exhaustive and exciting bouts of the afternoon, China's Cailing Hu and Russia's Valeria Rodionova engaged in a slugfest in the 57-kg category that had all the trappings of a thriller. Though Valeria was the stronger of the two, Hu was more clinical and had a higher percentage of shots on target, bobbing and weaving with alacrity to win the favour of the judges for a unanimous victory.